Because sometimes, everyone needs a little Samus on the go. Metroid is one of Nintendo's most respected franchises dating back to the NES, where audiences were introduced to bounty hunter Samus Aran. Since that time, we've watched as the celebrated heroine blossomed, taking on new abilities and sticking it to those annoying Space Pirates. Samus' adventures have appeared on a variety of systems, including portables like the Game Boy, Game Boy Advance and DS. Along the way, we destroyed Metroids, grabbed power-ups and gasped for breath while battling terrifying bosses. There's certainly no shortage of dull moments or games, for that matter. That said, here's a quick look at Metroid's portable history. Considering the huge number of retro games that see a comeback, it's a bit surprising that Nintendo hasn't re-released Return of Samus, the second game in the Metroid franchise. For starters, a generation of players never experienced the adventure, and most importantly, it's quite enjoyable. 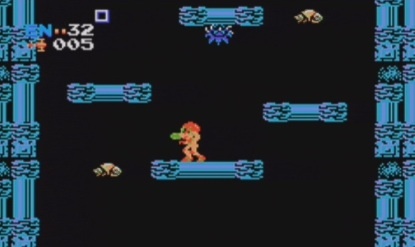 In the game, Samus accepts a mission to destroy the Metroids on the fictional planet of SR388. To get the job done, she makes use of the Spazer and Plasma Beams, along with the Space Jump and Spider and Spring Balls, which let her climb up walls and jump while in morph ball form, respectively. 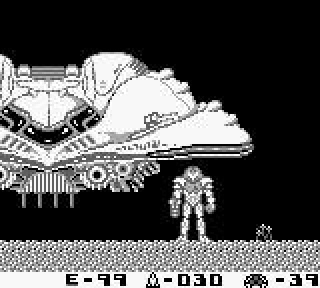 The game was somewhat repetitive, largely because of the Game Boy's limited processing power, but Metroid II still deserves another chance to shine, perhaps on the 3DS via the upcoming eShop. Samus made a grand entrance on the GBA in this thrilling and critically acclaimed adventure, praised for its impressive graphics, challenging puzzles and tough boss fights. 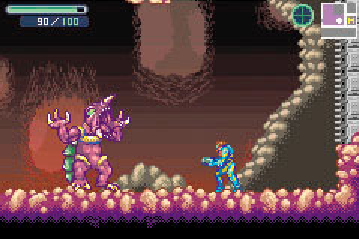 This time, the dreaded X Parasite infects Samus. Cured by the Galactic Federation, she's able to absorb said parasites for nourishment. Our hero needs every bit of power to survive attacks from SA-X, a dangerous clone armed with an Ice Beam. Overall, Fusion is one of the best Metroid games in history, which is no surprise, since it was created by the same team that designed Super Metroid. We also dug the connectivity between this title and Metroid Prime on GameCube via link cable, where beating Fusion unlocks NES Metroid. The original Metroid is one of the greatest games of all time, but it also looks dated. Nintendo, realizing this, chose to remake the beloved classic on the GBA. 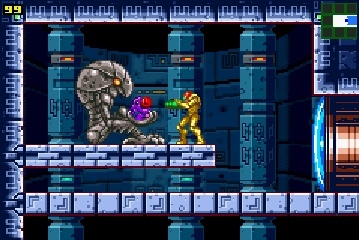 The result, Zero Mission, retains the basic plot of Samus setting out to destroy Mother Brain, but adds a unique spin on things with new environments, cut scenes, abilities (the Power Grip, Zip Line), a re-mastered soundtrack and graphics that put the NES hit to shame. On top of that, Zero Mission is the first Metroid game to let players control Samus without her famous Power Suit. Bottom line, this is a must play if you own a GBA or DS Lite. Of course, if you desperately want to play the original Metroid, you can always track down the standalone cartridge for GBA. Nintendo re-released the 8-bit title as part of the Classic NES Series, giving players the chance to experience the game that started it all. Prior to this game, Nintendo had already shoehorned Pokemon, Mario and Kirby into pinball games, so one featuring Samus made sense. 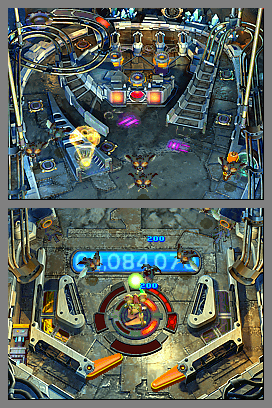 Metroid Prime Pinball retains popular music and visuals from the universe while incorporating bumpers, flippers and high scores. Along the way, players collect items, unlock weapon upgrades and destroy enemies. There's even eight person multiplayer via Wi-Fi. The coolest edition, though, was by far the Rumble Pack, a GBA shaped cart that added force feedback to the experience. Much like Pinball, Nintendo took a different direction with Metroid Prime Hunters. 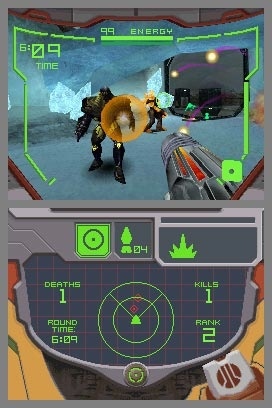 Instead of crafting a deep single player experience, the company designed a first person and multiplayer focused shooter, as up to four players chose one of seven bounty hunters (Samus included) and waged war across the Wi-Fi Connection. Unfortunately, this attention to online play came at the expense of the single player mode, which felt more like a training session for multiplayer.